A tree which in our area, until recently, was known only for the great adaptation to its environment, besides the properties of its fruits from which oil is extracted, known all over the world, and capable to delight the taste of the best gourmets, now is surprising us again, for its capacity to awaken our senses to its great beauty. A tree that in your garden will stand out and won't leave anyone indifferent, awakening the curiosity of everybody for its special beauty and centenarian mythology. 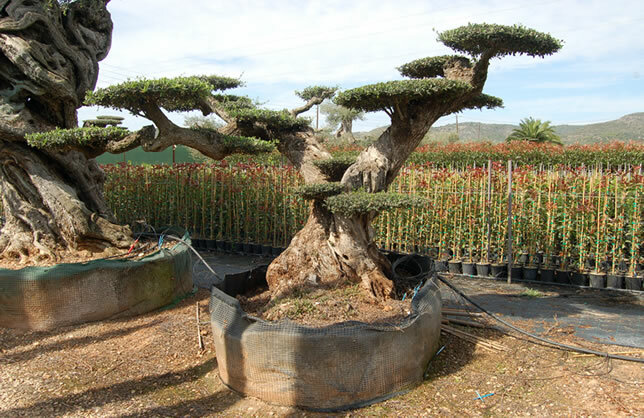 Our range and variety of sizes as well as formations in centenari Bonsai olive trees, is a reality, showing different possibilities for different tastes. 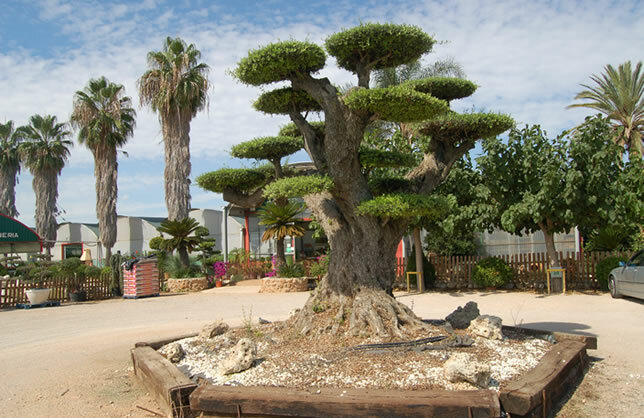 A specialized pruning and an individualized treatment, results in each of our Macro Bonsai Olive tree, to become an unique and inimitable tree, with its own personality and character. 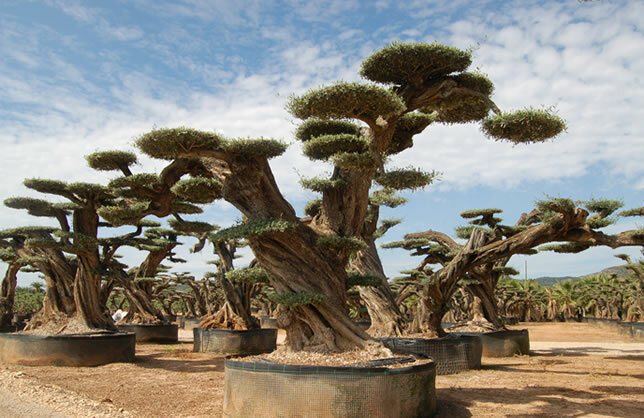 These trees due to their resistance, capacity and adaptation to the environment make it possible for them to be transported long distances and to areas where the climate could be hostile. Where, with a minimum of care, they are capable to adapt to the new environment and their beauty becomes reality, a mixture of mythology and passion for nature.